Tivity is using Smore newsletters to spread the word online. With the NBA season 'round the corner and the Nets lacing-up in Brooklyn, there's never been a better time to celebrate the rich history of NYC basketball and business. That's why Tivity is bringing New York City Startups together for a FREE 3-on-3 basketball tournament this fall. Join competing start-ups, incubators and accelerators of all shapes and sizes in an exciting event that will help promote your organization along with the growing NYC Tech community. Participating start-ups will be featured in the bi-weekly tournament newsletter and promoted through multiple social media channels. We know you've got game and want to help you show it off! 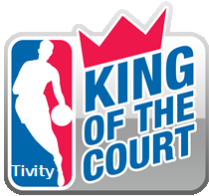 Tivity is a crowd-sourced knowledge base of local athletic activities curated by the people who know these activities best - the participants. Discover, connect and play with the people, places, and events that fit your active lifestyle. 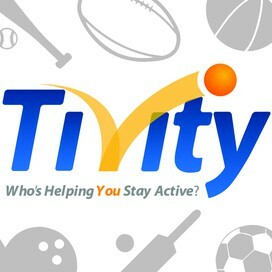 Track your athletic history and let other members of the Tivity community know which activities you're most passionate about. Whether you're a local, on vacation or traveling for business, Tivity makes it easier than ever to find something active to do and somewhere to do it.